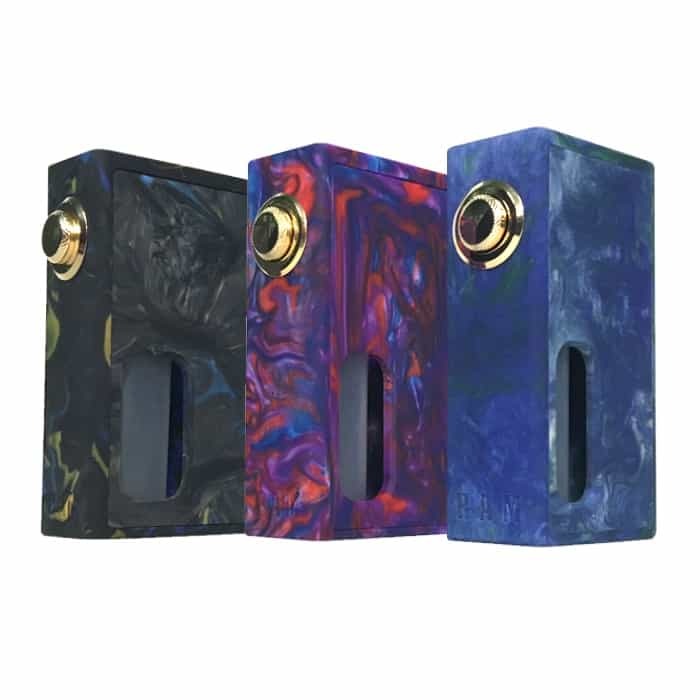 The Wotofo Stentorian RAM BF Box Mod is an elegant wood/resin style Squonker device with a bottom feeding design. The RAM BF Squonker is powered by a single 18650 cell with a 7mL squonk bottle so that you can enjoy a full day of vaping without refilling! It has a fire button with a safety lock to prevent accidental firing too. The 24K gold 510 connector and fire button ensure the best electronic conductivity too. The RAM works well with 22mm/24mm atomizers in diameter.